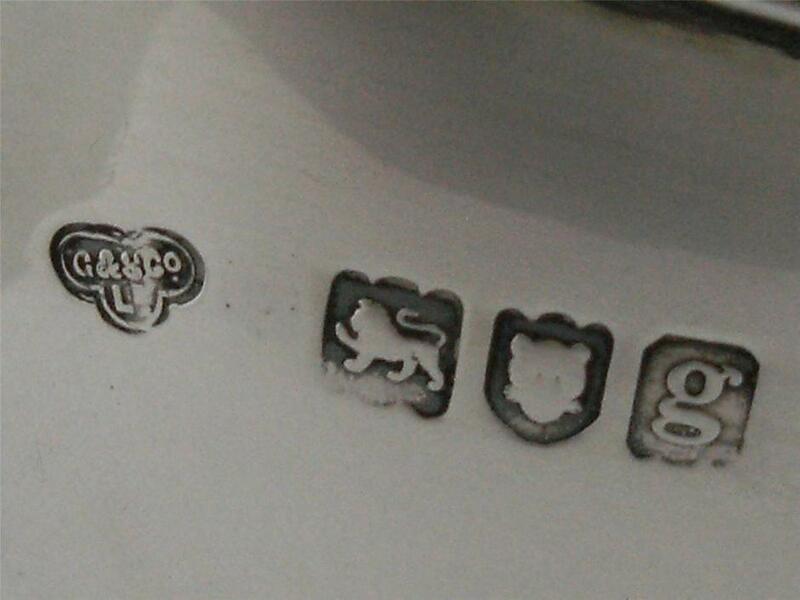 English silver always has a deep, traditional, and rich legacy. 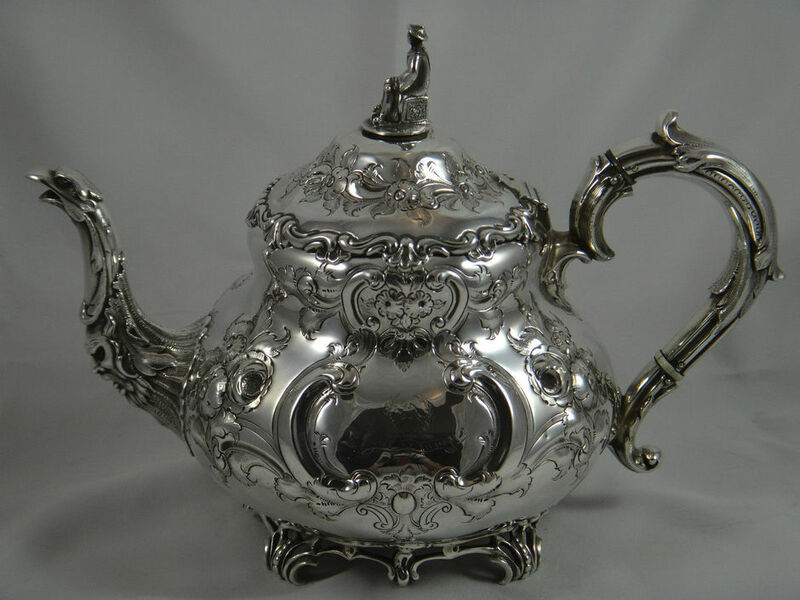 Even, for a period of hundreds of years, English silver has been widely accepted as the finest, exquisite, and elite class of silver across the world. 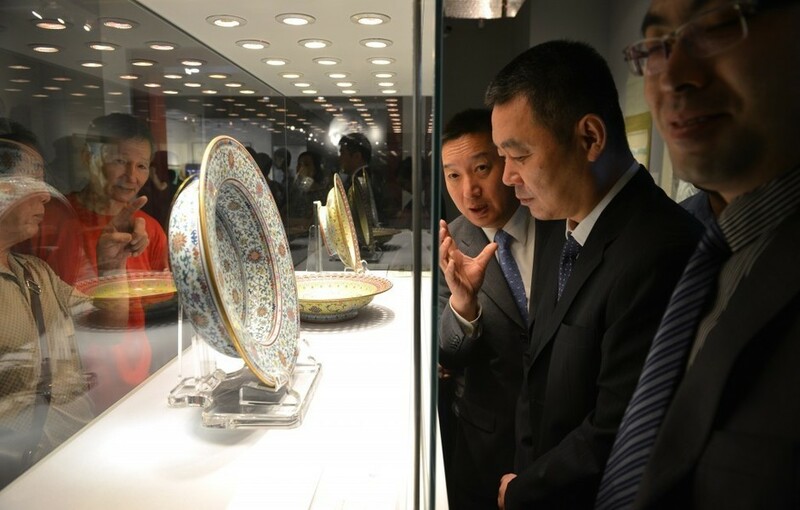 Unlike Chinese Arts which are marked by an unusual degree of continuity of that tradition opposing to the equivalent in the West with Western collapse and gradual recovery of Western classical styles. 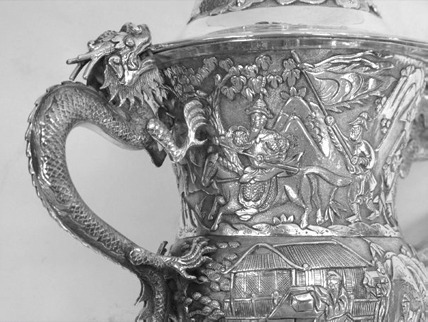 The following is a brief list of the major decorative styles that were followed by Silversmiths over the past three hundred years. 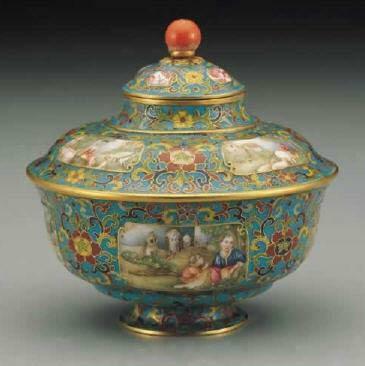 Natural motifs are a feature of both British and French Rococo. The acanthus leaf or shell is one of the basic motifs of Rococo design. Rococo focused almost exclusively on the style’s ornamental motifs—shells and rocailles, scrollwork, acanthus leaves, and other flora and fauna, often in symmetrical compositions. This style lasted from 1811 to 1820 when the affairs British Empire were in the hands of Prince Regent (later George IV ). 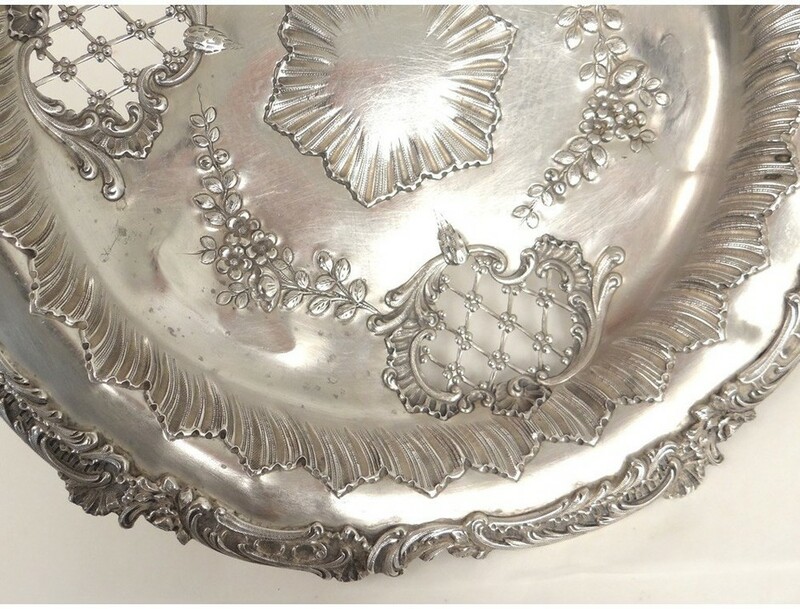 Not only did he become patron of many silversmiths of the time but also his keen interest in antique styles helped to develop the designs of domestic silverware. 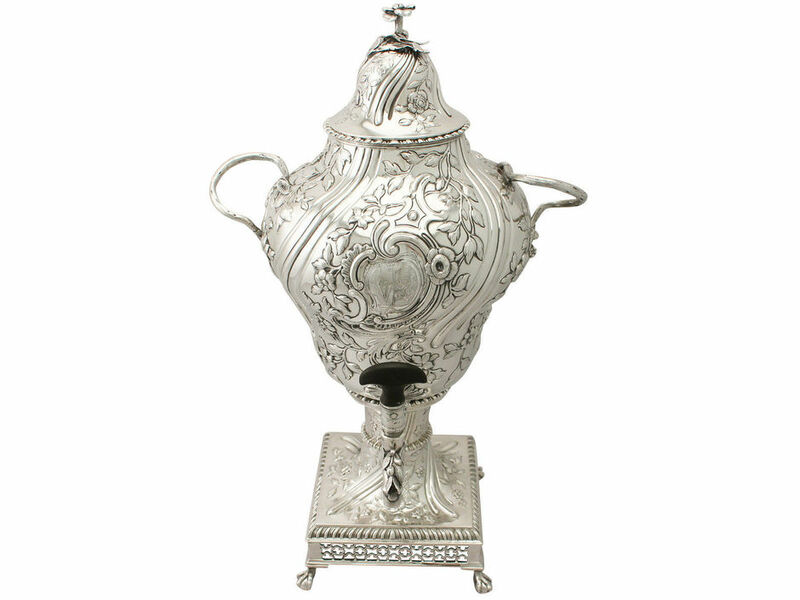 The term is often used to include silver pieces from the late 1790s to 1830s. 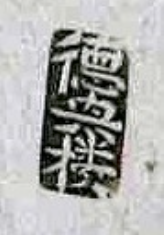 It describes pieces that are often similar to the earlier Neo-Classical style yet are inclined to be pompous and heavy. 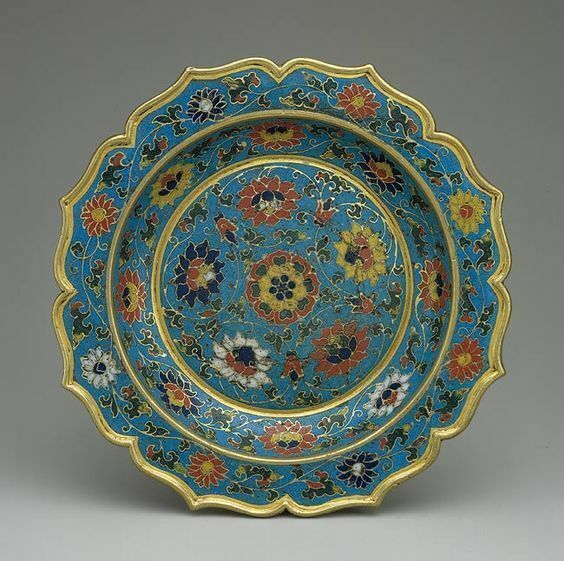 The style is often characterized by applied rope-twist borders, with added shells, and floral motifs. Sometimes Egyptian motifs are apparent reflecting the interest at the time of these ancient styles and excessive details. 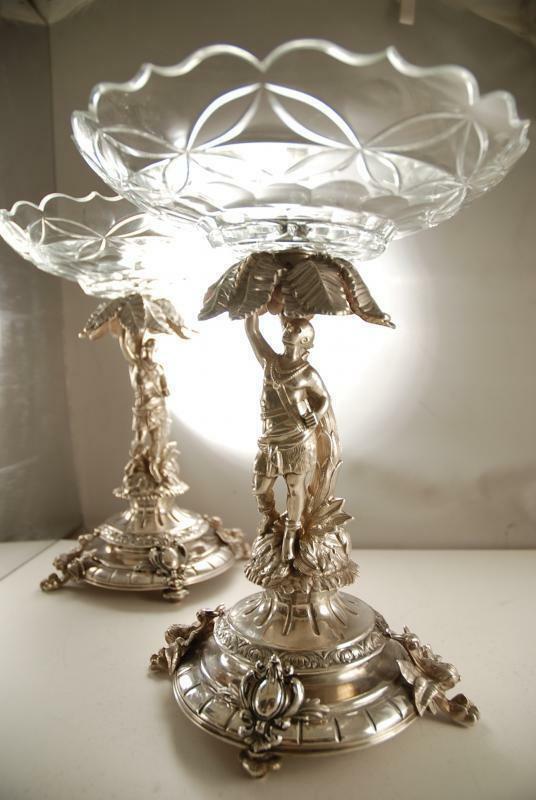 There was more silverware made in the 19th Century than ever before or after, the middle classes had a new wealth and the British Empire was at its height. 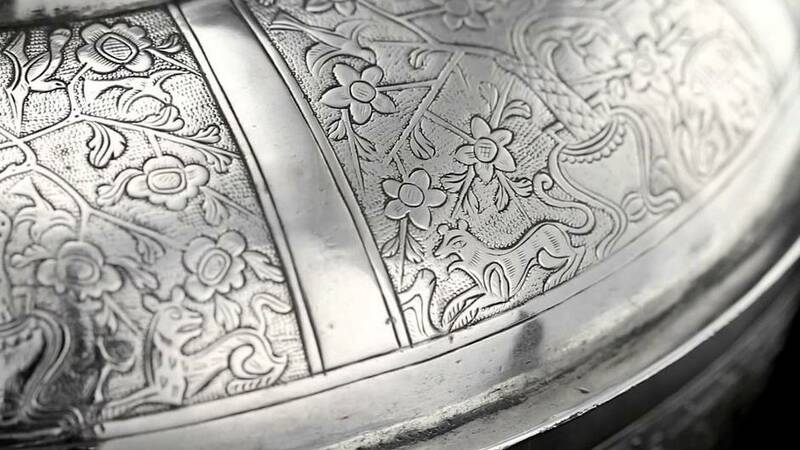 The Industrial revolution was transforming the old craft trades and innovations by plate manufacturers meant great competition for the traditional silversmiths who were still making by hand. 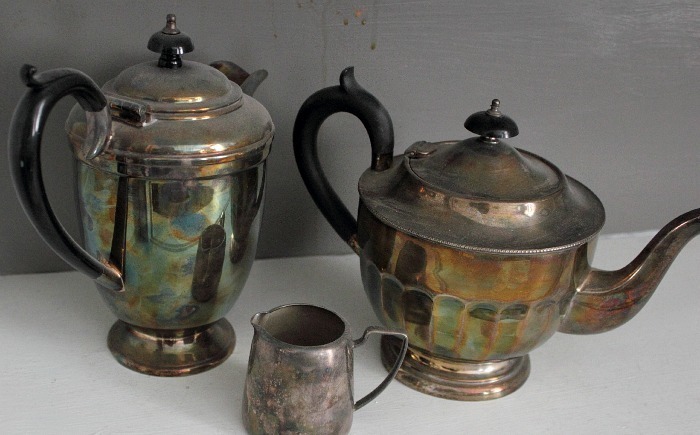 The 18th century passion for antiquarianism continued into the early Victorian era, stimulating a revival of several historic styles that all flourished simultaneously. Naturalism was added to the rococo, gothic, neoclassical etc. 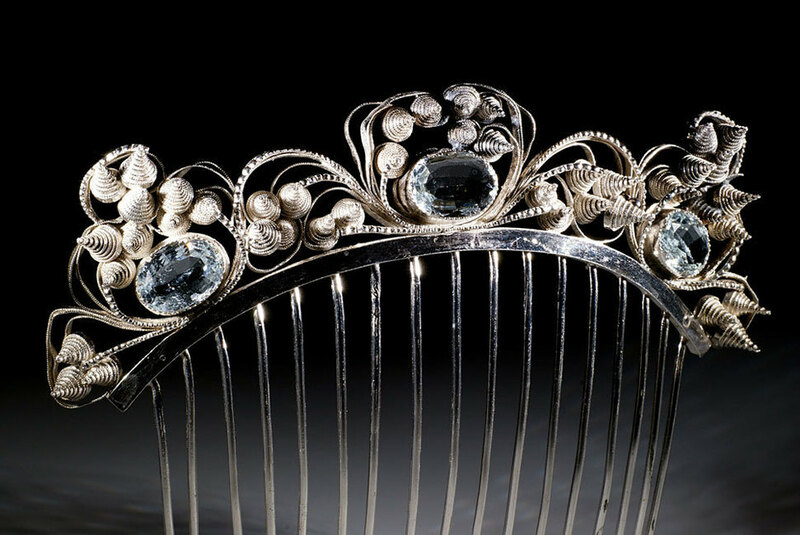 styles that were popular and could be seen in abundance at the Great Exhibitions. 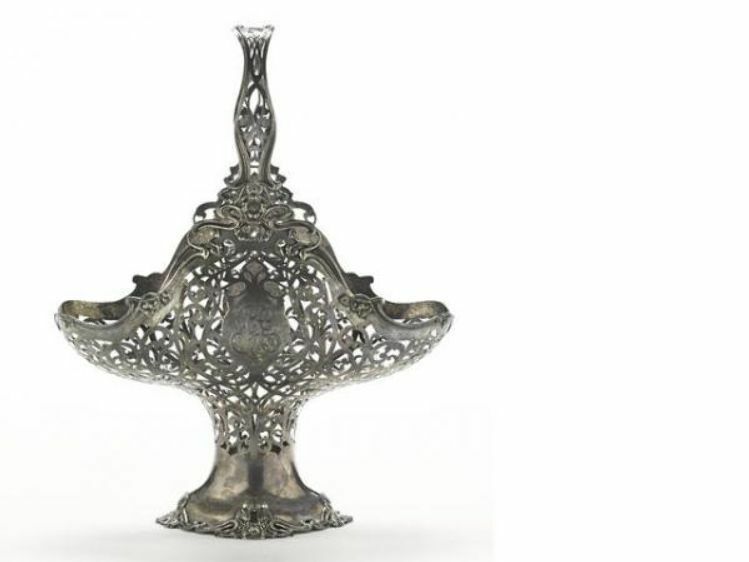 A style of decorative art and architecture popular in Europe in the late 19th and early 20th centuries which is characterized by stylised curvilinear designs and organic forms. This style was first introduced to England circa 1890, and was a product of the Arts and Crafts movement started by William Morris et al and the pre - Raphaelites. 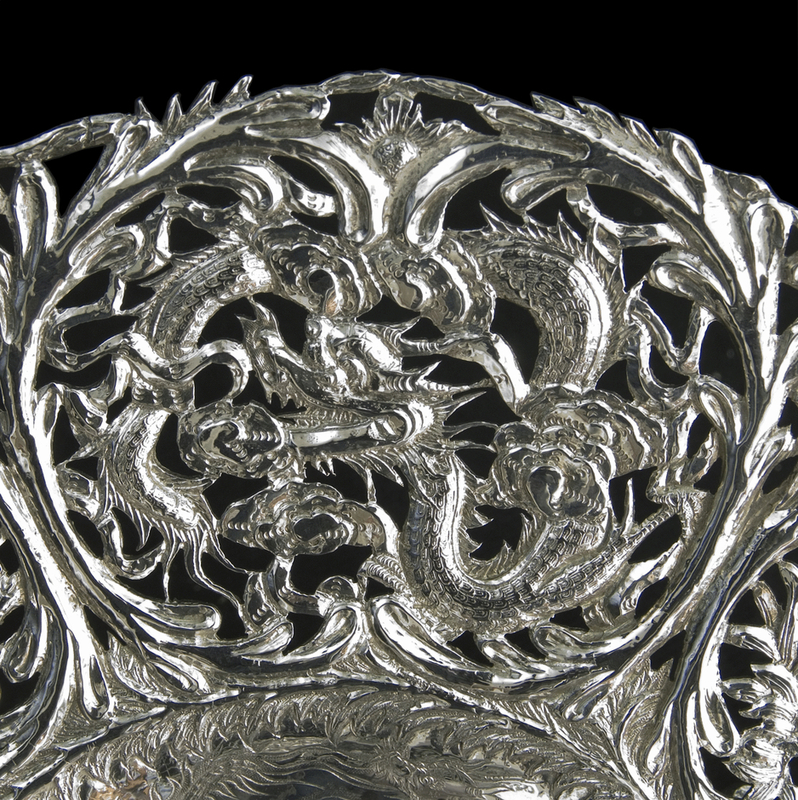 It was a revolt against the mass produced wares of the Victorian era and was adapted to silverware showing free flowing lines, often asymmetrical, with intertwining floral patterns, insects and female faces depicting a great influence from Japanese Art. 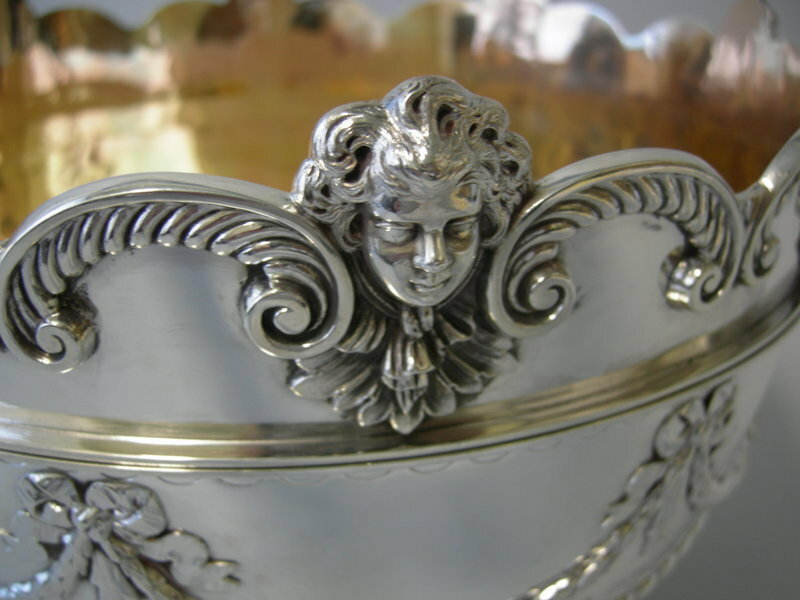 The main characteristic seen in most Art Nouveau silver pieces is a long line with a quick curve at the end this has been said to be reflective of the social mood of the time. A style that became popular in the late 1920s and early 1930s, it was a movement against the naturalistic feel of the Art Nouveau designs. Art Deco drew together various elements, such as structured floral motifs, stylized curves, geometric shapes and abstract patterns. These ideas ran simultaneously with the cubist movement in fine Art and similarities of the bold graphic shapes are obvious. but didn't really take hold until after World War I. It reigned until the outbreak of World War II. In the 1950's there came about a complete change in style. Post-war Britain had a renewed interest in form, with the emphasis on sleek modern shapes. 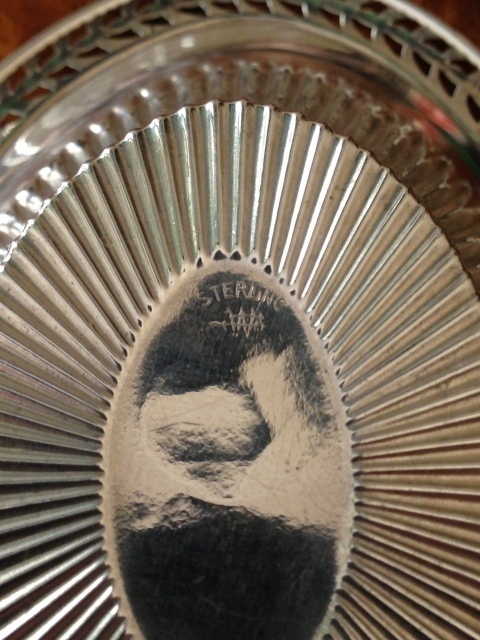 Form did not necessarily have to follow function, form was the most important factor. The early 1960's saw the Modernist ideal of pure line and form, together with unadorned surfaces challenge the traditional equation of high style. 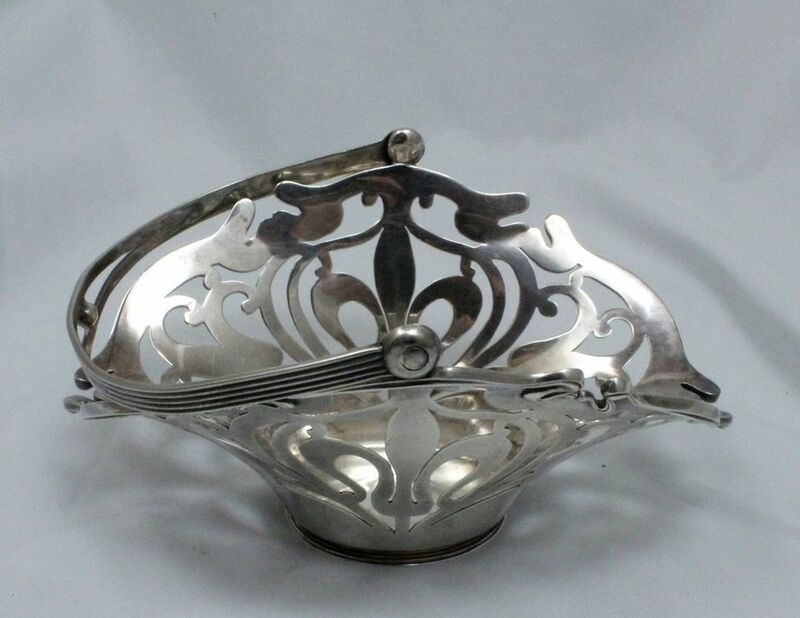 The admiration for hand made silverware did not blind the new generation of silversmiths against the potentials of mass production, their aim was to balance mechanization and hand finish so that silver was again being put to its best use, as a metal for items of luxury and decoration.